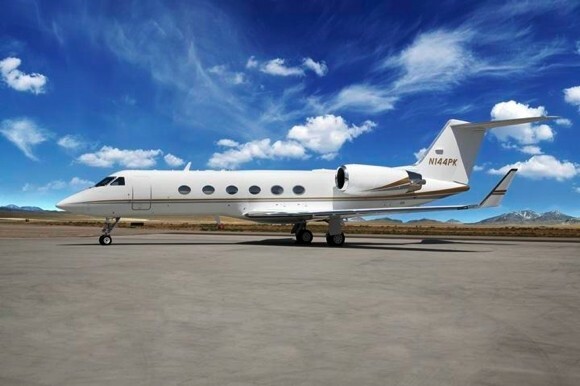 The co-founder of Redken hair care products company is putting her private jet available for lease at about $5,000 per hour plus added charter costs. Rates vary on the itinerary. Paula Kent Meehan’s P.K. Air Gulfstream IV can seat up to 15 passengers, and is well-equipped for business meetings. The jet has state-of-the-art communications systems, allowing for in-flight internet access. For comfort, the cabin has audio and video systems that include personal screens. The plane has a dining table and all the typical luxuries and amenities found in private jets.